A fun Thanksgiving activity! 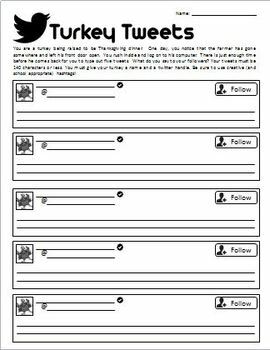 Your students must write 5 tweets from the point of view of a turkey who is being raised for Thanksgiving dinner. What does your turkey say to their followers to save their life?